Mission San Juan Bautista was founded in 1797 and was fifteenth in the chain. Named after John the Baptist, the mission is located in the town of San Juan Bautista, north of Salinas. Mission San Juan Bautista was founded June 24, 1797 by Father Fermin Lasuén. A year later, in 1798, the first church was complete. Named after John the Baptist, Mission San Juan Bautista was located north of Salinas and ranked fifteenth in the California Mission Chain. The second, present church, was begun in 1803 and dedicated in 1812. 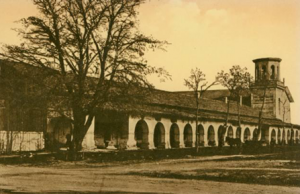 With three naves, the new church became the widest of all the mission churches. Mission San Juan Bautista prospered extremely well from the beginning. 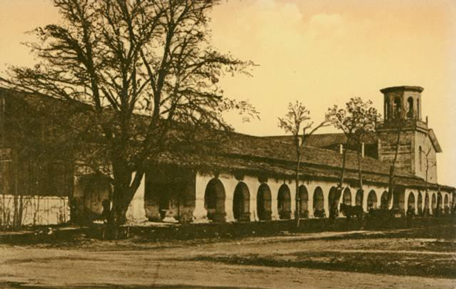 More and more buildings were constantly added to accommodate the growing numbers of Indian converts relocating into the mission premises. The town of San Juan Bautista grew up around the mission and its population rapidly increased during the California Gold Rush. Today, the town of San Juan Bautista continues to be a thriving community. In 1815, Father Pedro Estévan Tápis, who was very talented in music, arrived at the Mission and started teaching the subject to the converted Indians. In the museum of the mission, two of the original choir books handwritten by the Father are still visible today. Numerous earthquakes damaged the mission buildings until the founding fathers started to construct buildings with earthquakes in mind. Unbeknownst to these early pioneers, their mission was located on the edge of the most destructive California earthquake fault, the San Andreas. The cemetery wall of the mission overlooks one of the few remaining sections of “El Camino Real”, the original north-south highway which linked all California Missions. Early decoration features including colorful reredos and original paintings made by Thomas Doak, a sailor from Boston who became the first Anglo-American resident of California, are still visible today. In 1835 Secularization overtook the mission which was returned to the church in 1859. An earthquake damaged the mission in 1906. Starting from 1939, private groups and the State of California restored the damaged buildings to the way they looked in the past. Today, travelers and alike coming at the mission can easily get an idea of how early mission life was like thanks to these restoration efforts.